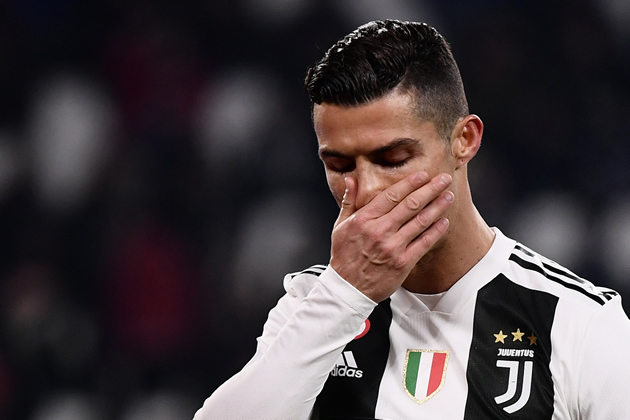 Cristiano Ronaldo missed a second half penalty kick for Juventus but it did not matter as the Serie A leaders brushed aside Chievo 3-0 in a top-versus-bottom clash on Monday. The Turin side were already two goals ahead when Ronaldo saw his spot kick brilliantly saved by Stefano Sorrentino in the 52nd minute after Mattia Bani handled. In spite of the miss, the Portuguese still remains the joint top scorer in Italy’s top flight with 14 goals. Douglas Costa, Emre Can and Daniele Rugani scored their first goals of the season as Juve restored a nine-point lead over Napoli. Napoli had cut the gap with Sunday’s 2-1 win over Lazio. Juventus have 56 points from a possible 60 as they chase an eighth straight title, while bottom side Chievo have eight points. The Flying Donkeys held out for only 13 minutes until Costa burst through the Chievo midfield and slipped a shot between two defenders from the edge of the area.